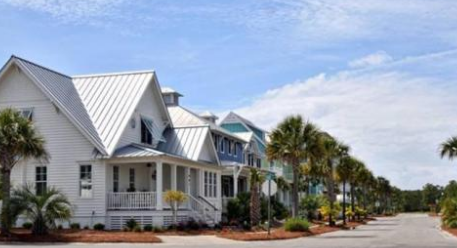 Seagrove is located conveniently in the outer banks on the coast of NC. The neighborhood is right along the NC coast which offers the optimum level of seclusion and privacy which is right off of interstate 40. The benefits of living in Seagrove are immense and offer plenty of things to see and do for all. Seagrove is one of the best places to live in NC for all of those whom are looking at properties on the outer banks. The neighborhood offers many different types of homes to prospective homebuyers. Some of the homes are large, while many others are smaller. The prices range from the low $300’s, which is a considerable deal given that it’s in a highly desired location. Aside from the standard neighborhood amenities, there are also plenty of parks and other recreational facilities for residents to enjoy. Seagrove has a lot of different resources for enjoyment and fun if you are interested in a chance to do something which excites you. So, Why Is It Such A Fantastic Place? Aside from being in a wonderful setting, Seagrove offers plenty to potential residents. The slow pace of living, amenities, and great views make it a fantastic place for anyone. Whether you are looking for retirement or a vacation home – Seagrove is perfect for families and all. It’s quiet, safe, and accessible from other parts of the state for anyone coming from out of town. Overall, Seagrove and Carolina Beach’s proximity and lifestyle make it very attractive to potential residents.